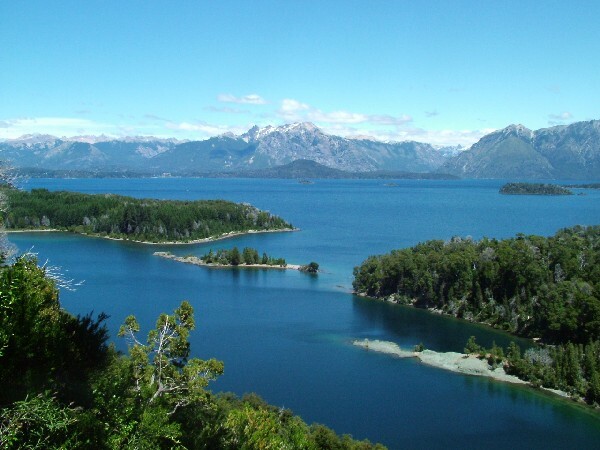 The population of Argentina is roughly forty million. Most of the country's population, roughly 97%, is white, while the other 3% consists of Amerindian, Mestizo and other non-white groups. Life expectancy is 75 years for men and 71 years for women. Many Argentinians are the descendants of colonial era settlers as well as the nineteenth and twentieth century immigrants that came from Europe. Roughly 87% of Argentinians are of European descent. The other 13% are of either of Amerindian, Arab, or East Asian descent. 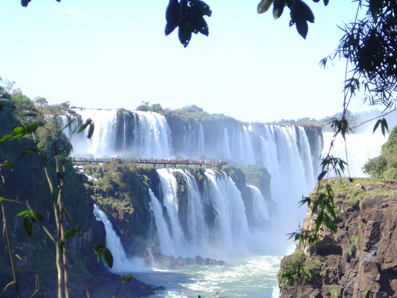 Argentina is in the southern-most region of the South American continent and is South America's second largest country, with 23 provinces. 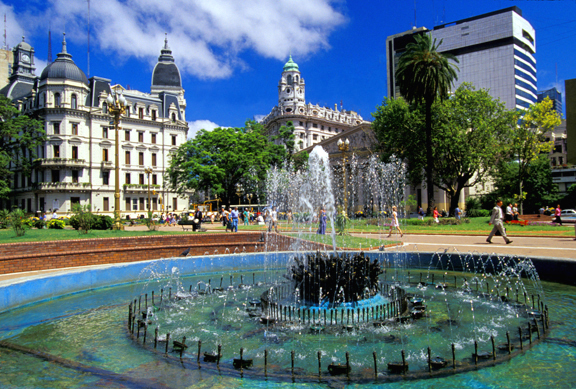 The capital of Argentina is Buenos Aires, South America's second largest metropolitan area. The autonomous city of Buenos Aires is on the east coast on the shore of the Rio de le Plata. Buenos Aires is said to be South America's wealthiest city and the wealthiest city in the southern hemisphere. The country of Argentina is bordered by Paraguay, Bolivia, Brazil, Uruguay, and Chile. Argentina also claims a portion of north Antarctica, as well as some islands off the western coast. These islands consist of South Georgia, the South Sandwich Islands, and the British overseas territories of the Falkland Islands. The country of Argentina is classified as a secondary emerging market or that of an upper middle class income. 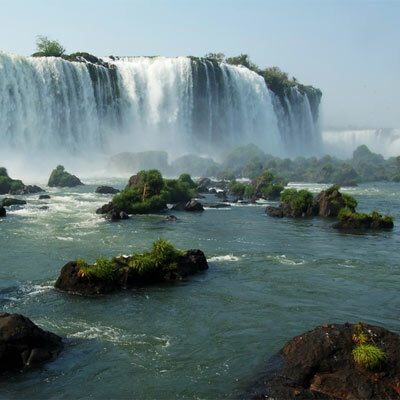 Argentina covers a total of 1,068,303 square miles, and about 11,700 square miles is covered by water. The highest point of elevation is 22,841 feet, and the lowest elevation point is 344 feet below sea level. 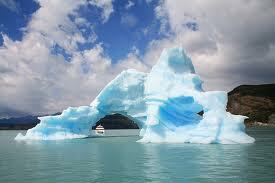 The climate of Argentina varies from a subtropical climate in the north to a sub-polar climate in the south. The north has hot and humid summers and mild and dry winters. The south is mild during the summer and gets more snow in the winters. The earliest inhabitants are not known, but in 1480 the Inca Empire invaded and conquered northwest Argentina. In 1516 explorers from Europe came along. Spain followed in 1542 establishing the Viceroyalty of Peru. In more modern history, there was a wave of immigration and foreign investment after 1870 that brought about the start of modern agriculture. Perhaps the most prominent president of Argentina is Juan Peron who took office in 1946, creating a political movement that improved working conditions and improved worker's wages. Peron's wife, Eva, better known as Evita, was an integral part of the country's political atmosphere. The Peronist Women's Party and the Eva Peron Foundation created a lot of funding for the country. Modern Argentina is growing economically but it has high inflation. The first woman president of Argentina is Cristina Fernandez de Kirchner who won by a landslide. The executive branch of the Argentinian government is located at the Casa Rosada, otherwise known as the Casa de Gobierno. The Casa Rosada is situated on the eastern side of the Plaza de Mayo. The Casa Rosada was depicted wonderfully in the movie Evita. In the city of Buenos Aires is the Buenos Aires Metropolitan Cathedral, in the center of the city and overlooking the Plaza de Mayo. Since it was built in the sixteenth century, the structure has been rebuilt several times. Also in Buenos Aires is the Buenos Aires Zoo, a 44-acre area in the Palermo district. This zoo houses a total of more than 2,500 different species of animals including 49 different species of reptiles, 89 species of mammals and 175 different species of birds. The nightlife in Argentina is quite spectacular, and nightclubs, pubs and bars are seen everywhere. Dancing is in abundance, especially the famous tango dances. Perhaps some of the most popular bars and clubs are found in the city of Buenos Aires. There's a wide variety of entertainment in Argentina, from dance clubs to quiet restaurants, so there's an option for everyone. Many of the cities, particularly Buenos Aires are great to walk around after dark to see the city lit up in the evening sky. Dancing is by far the most popular form of entertainment in Argentina and it is a great way to express your emotions. About 76.5% of the population is Roman Catholic.The remaining population is of the Protestant faith, Jewish, Jehovah's Witnesses, Mormons, or are religiously indifferent. Islam is starting to make an appearance in Argentina as well. There is freedom of religion, so the residents are free to practice whatever religion they'd like with no interference from the government. The official language of Argentina is Spanish, specifically Argentinian Spanish, which to some sounds more like Italian than Spanish. Other languages that are spoken include Italian, German, English, and French. Argentina's cuisine is very distinctive because it resembles Italian, French, and Spanish cuisine, as well as that of other European countries. Most meals are usually very high in protein, particularly beef. Grilled meat along with beef ribs and steak are very common foods. In the Patagonia region of Argentina, goat meat and lamb are more often served. Meals are served with a sauce made from garlic, herbs and vinegar, called chimichurri. Having an Italian influence, Argentinian cuisine also includes pizza and pasta and several other common Italian dishes. The country has a traditional drink that is an infusion called mate, where dried leaves and twigs from yerba mate plants are served in a small cup made from horn or bone or more commonly a gourd. The drink may be a bit bitter and can be sweetened with sugar or may have flavors added to it from herbs or orange peel.